If you send email or event invites to the same people all the time, create a contact group for them. The next time you compose a message, send email to that contact group to reach everyone at once. 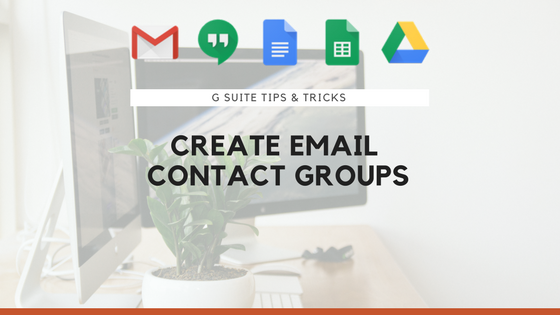 You can use the same contact group to schedule Google Calendar meetings. Next to To, enter the individual email addresses. (Optional) The email addresses appear at the bottom. Check the box next to another contact to add them to your group. Name the group and click Save. Next to To, enter the group’s name. In Calendar, click Create event. In the Guests section, enter the name of the group and click Add and click SAVE.